Jungle Magic Doodle Artz Music consists of 2 100% cotton pillow covers and 3 double sided washable ink markers. Your kids can use these to doodle on their pillows before sleeping. This doodle kit helps children sleep longer and more peacefully by reducing their screen time in bed. 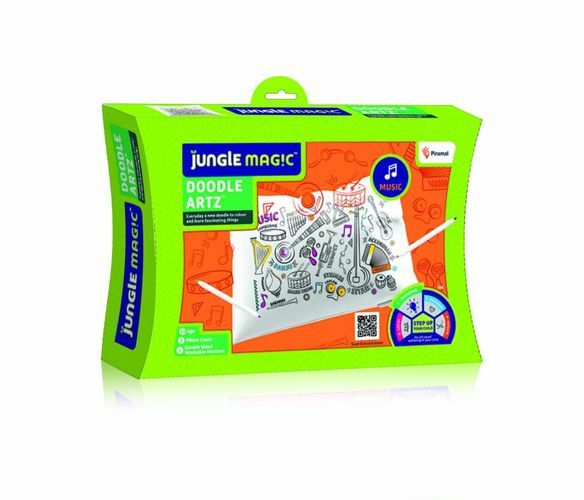 The Jungle Magic Doodle Artz kit ensure they stay active during the day as well as concentrate better. Also, the kit helps in increasing creativity increasing problem solving skills.